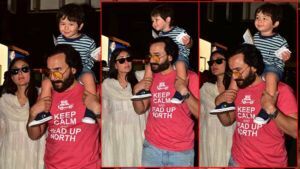 Saif, Kareena and Aadar arrive together at the party. Jacqueline Fernandez arrives at the bash in a golden saree. 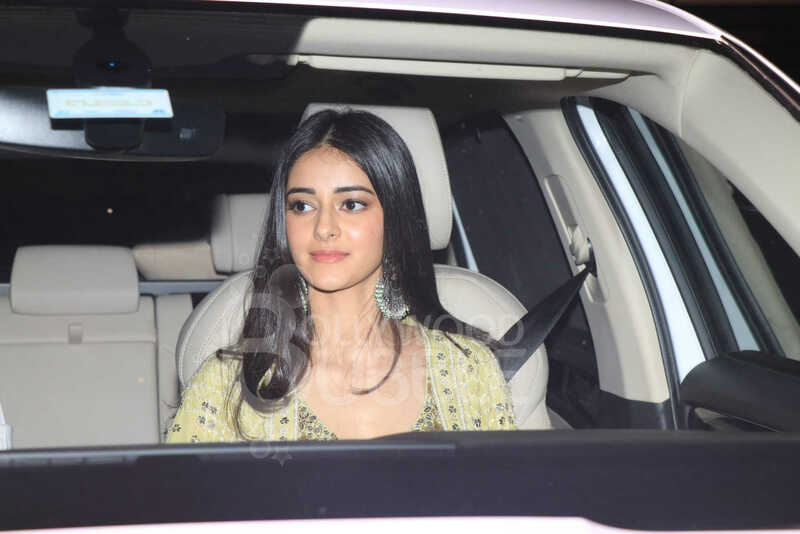 Sara Ali Khan smiles at the paparazzi as she arrives at the party. The starlet nailed it with a light green lehenga and minimal make up. Kriti looks stunning in the mehendi green saree. Kiara in an off-white attire looks gorgeous. In a golden attire and bold red lipstick, Shraddha slays it. Sonakshi too came in to enjoy the party. 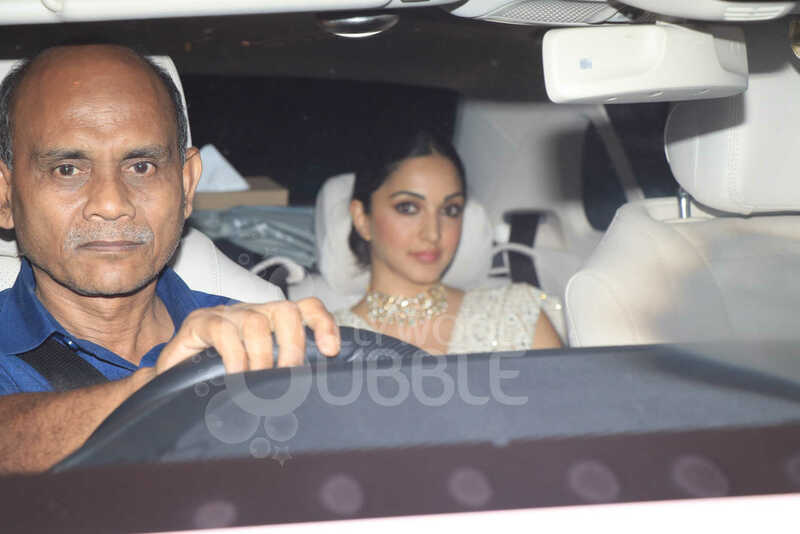 Malaika Arora also arrives at the party. Arjun Kapoor arrives with his uncle Sanjay Kapoor. 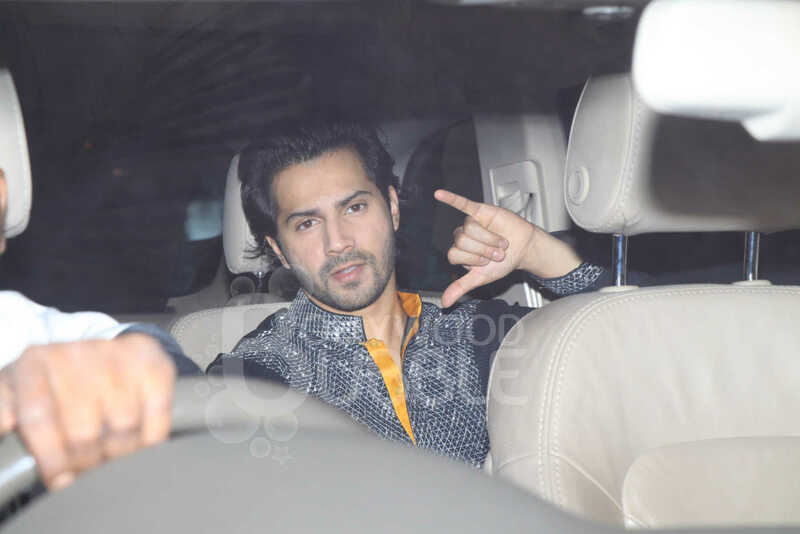 Varun Dhawan looks dapper in kurta. 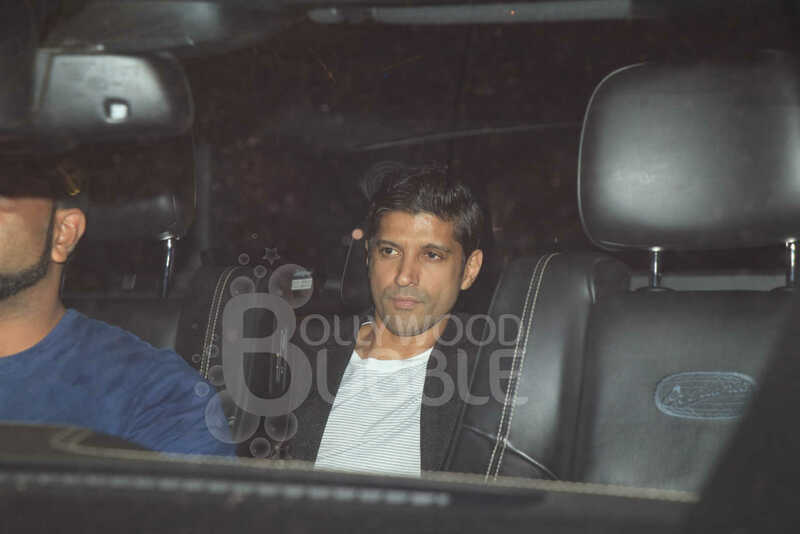 Sidharth Malhotra greets the paps as he arrives at KJo's bash. 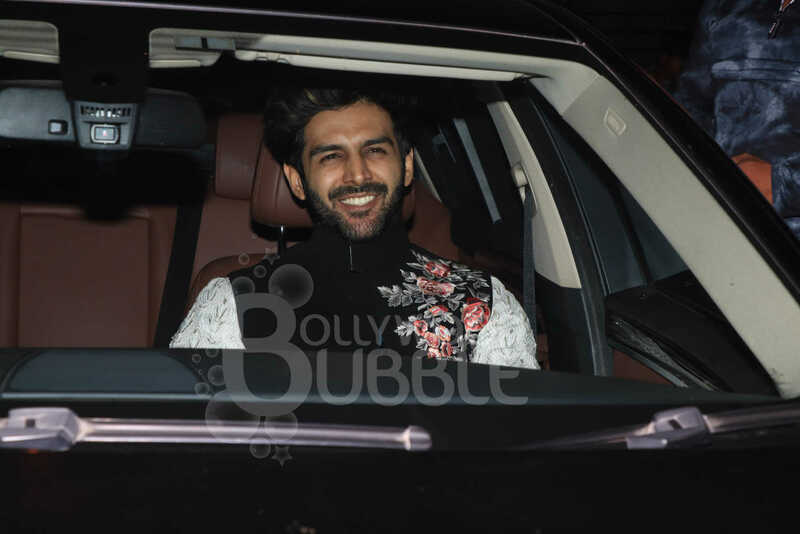 Kartik Aaryan looks dapper in the ethnic suit. 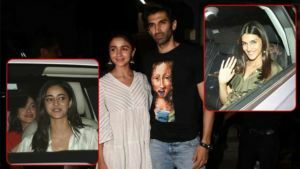 Shanaya came with mother Maheep Kapoor. 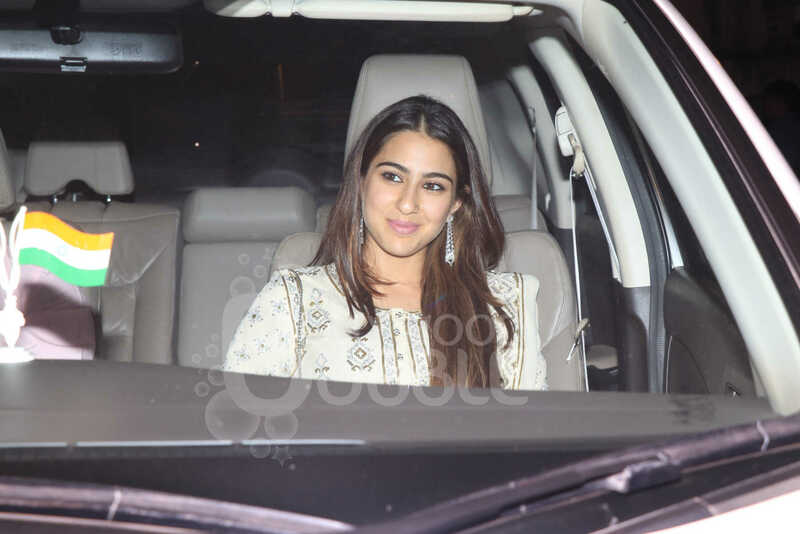 Bhumi waves at the paps as she arrives at the bash. 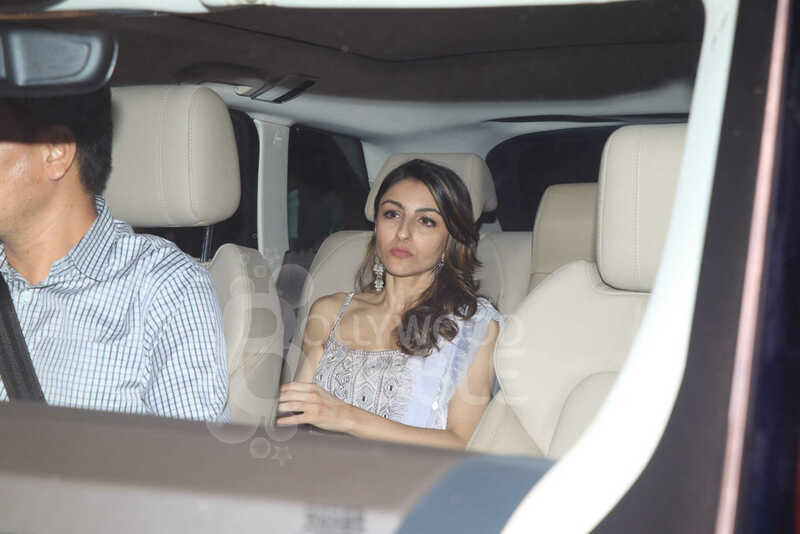 Soha arrives donning a white suit. Kunal in the ethnic attire looks classy. Dia Mirza looks stunning even in minimal make-up look. Raveena looked ravishing in a yellow suit and her bun and sindoor accentuated her look. Farhan came in solo at the party. 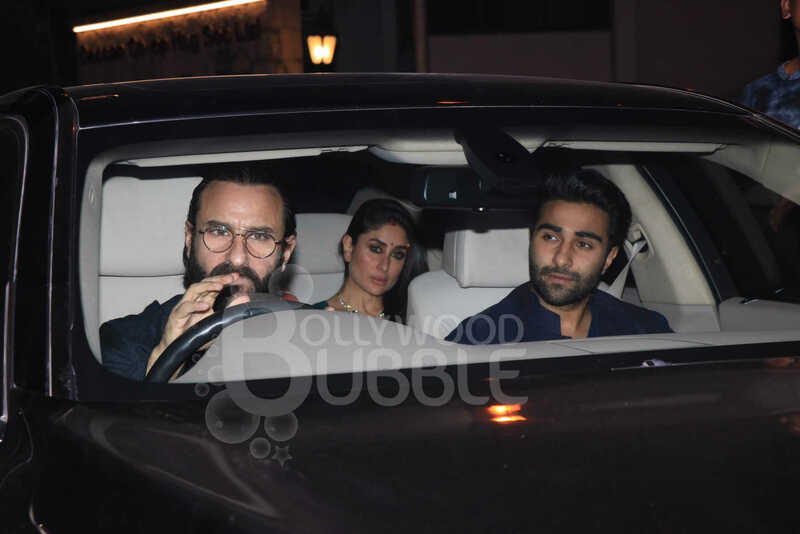 The parents-to-be looked happy as they arrive at the party. 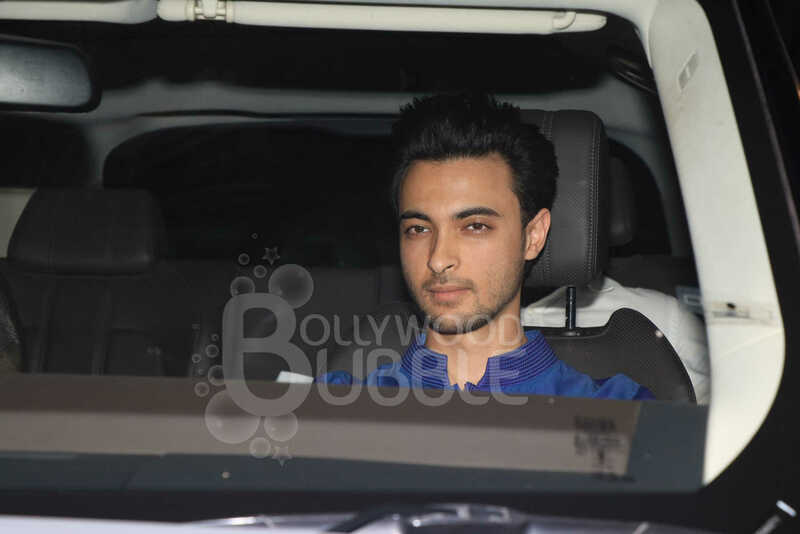 Aayush too was snapped at the bash. 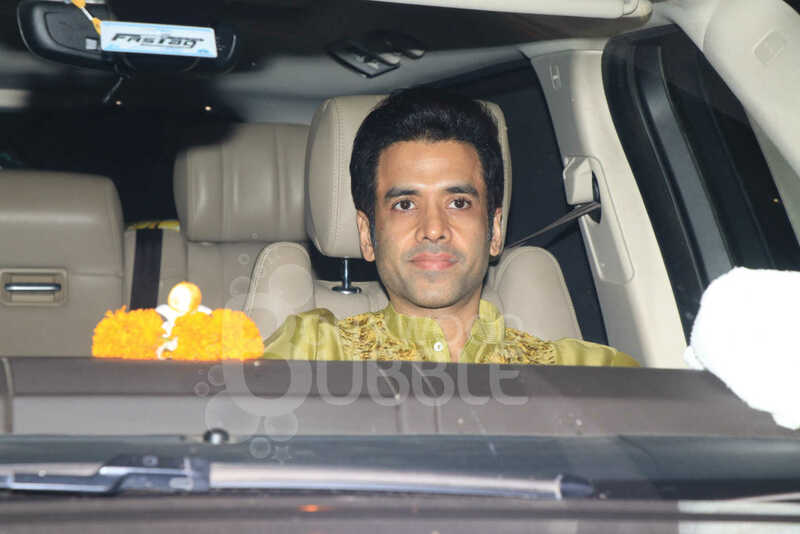 Tusshar Kapoor also came in to attend KJo's Diwali bash.